It is about time that Carolyn Nowak has a collection of her work. Having won two Ignatz awards and plenty of critical acclaim (including from this critic), Nowak now has her first collection, titled Girl Town out from Top Shelf at the end of 2018. 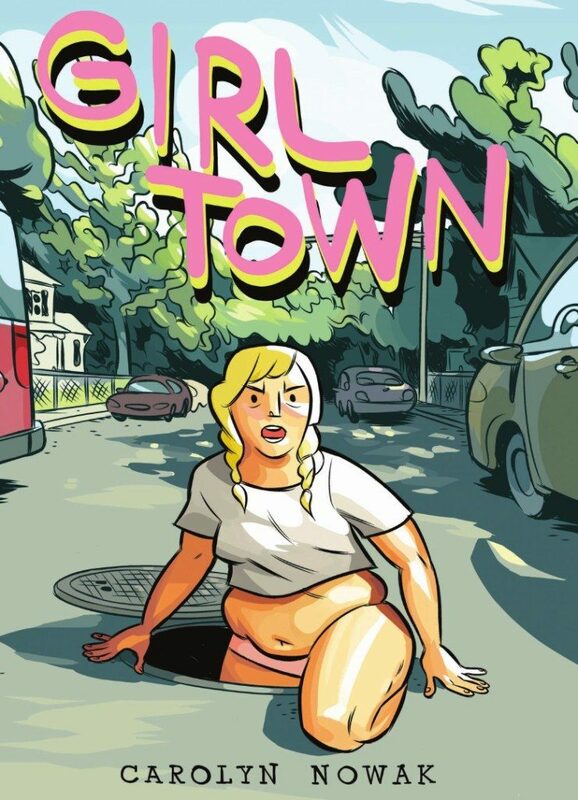 Girl Town is a collection of short stories, starting from 2015’s “Girl Town” from Irene #5, and ending with a new comic “Please Sleep Over.” The collection includes five comics from 2015-2018, and features stories about women and their trauma, infatuation, fear, and joy. 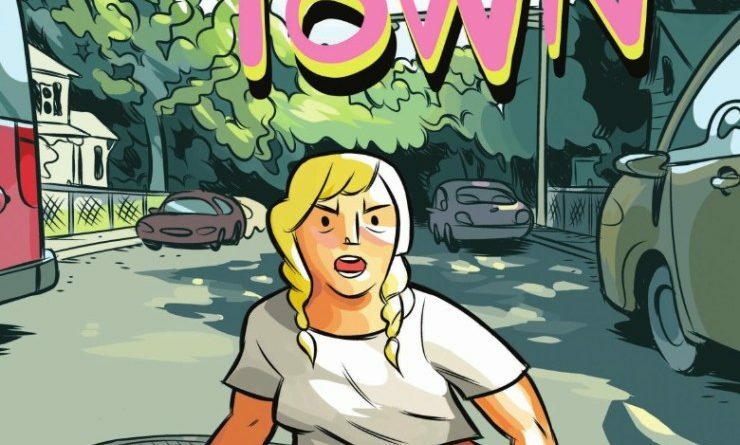 Girl Town starts with its title story, “Girl Town,” about a group of girls living in a house together after being kicked out of astronaut school. They get into fights with the girls next door, revolving around underwear and childhood toys. There’s a passive-aggressive nature to this comic, where the main character admires Betsy for the things she isn’t – loud, fearless, and angry. Nowak’s main character seeks attention in unproductive ways, and there’s a thread here about body image that draws into future comics. But in the end, Nowak lets us in on the secret – the fighting is either resolved or wasn’t that big a deal in the first place, and the women commiserate about the unexplained astronaut school expulsion. 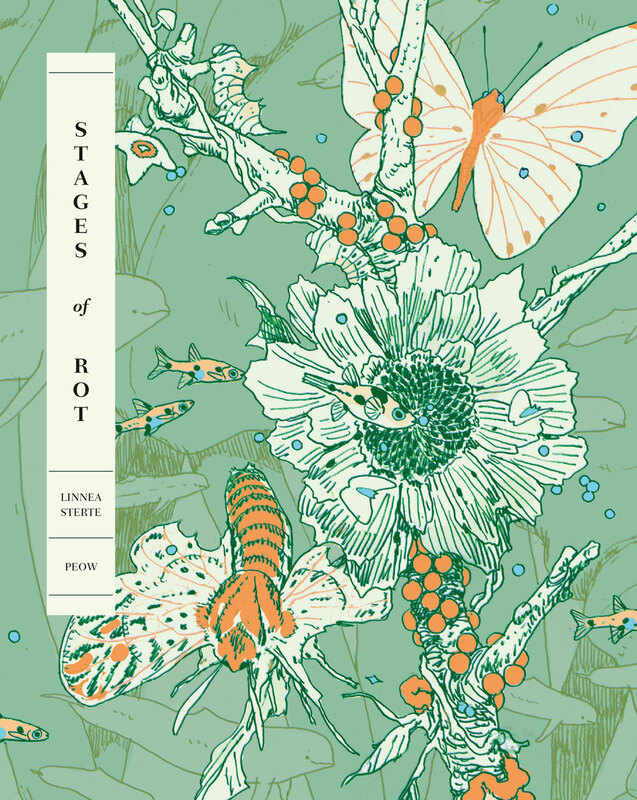 The strongest piece in the book by far is “Diana’s Electric Tongue,” previously published by ShortBox in 2016. That original book has had some color touch ups, so it looks more lush than its first printing. 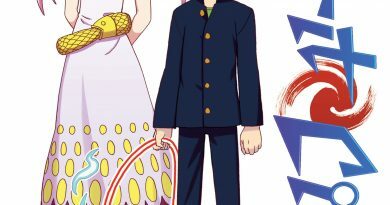 I’ve written a full review of the comic at an earlier point, so I would invite you to read that at the link above. Looking back at the comic now, I see more clearly the ways that Diana makes excuses for her ex, Blue, and hides from the trauma that led her to purchase Harbor in the first place. As a complete whole, Nowak’s work is a step left and a step forward from the world we all inhabit; these comics are weird, a little off kilter, different than expected. The way the world Nowak’s characters inhabit operates is a little strange. But that strangeness is not a distraction – rather, it heightens the reader’s awareness of the core of Nowak’s cartooning, which is to say, the way her characters build relationships and deal with trauma. Whether it’s Girl Town gang’s unexplained reason for being expelled from astronaut camp, Beth’s poor self-image, the physical and mental trauma of Diana’s bike accident, La-la’s fear of being rejected, or Jess’ parents disapproving of her divorce, these stories revolve around the way these women connect with people, and the way people hurt them. Seeing all of Nowak’s work collected, I also have an appreciation for how she creates dialogue and develops character interaction. There’s a coyness in the way people talk to one another, and an affectionate humor that drives the quiet moments of Nowak’s writing. Her characters are bold. Other similarities between stories appears; Nowak’s love of vibrant color, the masterful way she draws human emotion on faces, the way she draws blushing, and crying. At times these comics are overwhelming; at times they are heartbreaking. 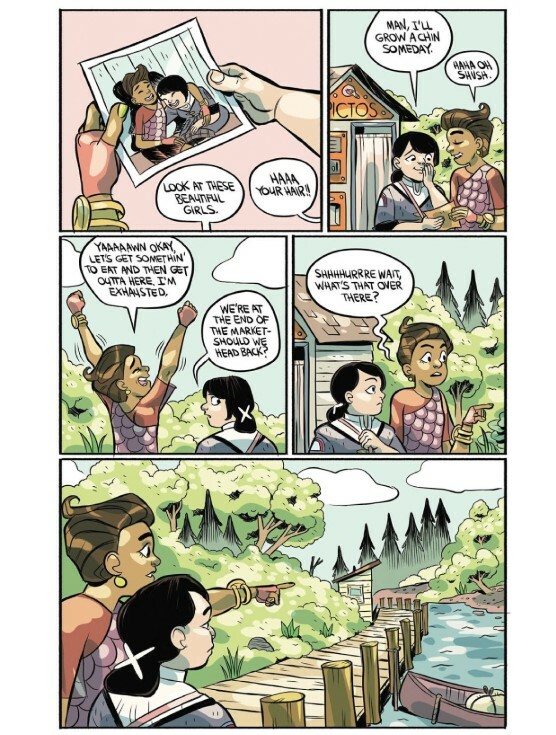 Girl Town’s last story is a new one, “Please Sleep Over,” and I mention it here because I think in some ways it represents the future of Nowak’s cartooning. Nowak seems to be processing some personal feelings about her own relationships in this story; there seems to be a less ambiguous tie between “Please Sleep Over” and Nowak’s lived experience. The central elements of Nowak’s cartooning and storytelling remain, but if anything, “Please Sleep Over” is even more direct and more resonant than anything that comes before. The ending, which I won’t spoil for readers, is breathtaking. All of the work in Girl Town draws itself into you, becomes a part of you. I think about these stories a lot. There not very many days that go by where I don’t think about “Diana’s Electric Tongue.” It’s a story that has stuck with me. Seeing Nowak’s comics collected for the first time is like a reunion with family you actually like.